It’s already the beginning of festive season and celebrations have almost begun!! Festivals usually include celebrations, new clothes, and exchange of gifts and sweets amongst the near and dear ones. Apart from your relatives, your employees are also a part of your extended family with whom you share a cherished relationship. Festivals like Diwali are a true occasion to thank your employees for taking your organization to new heights! There are several kinds of corporate gifts available today. For instance, there are stationary items such as customized calendars and personalized diaries. You can also choose from a variety of kitchen appliances, bedsheet set, blankets, wall paintings etc. But the most common and widely used corporate Diwali gifts are dry fruit hampers which include dry fruits such as almonds, cashew nuts, raisins, pistas and walnuts. Some companies also give expensive gifts to their employees such as statues of Gods and goddesses, gold or silver coins. It completely depends on your budget to choose the best corporate Diwali gift for your employees. The idea behind corporate gifting is to make your employees feel special and bring happiness into their lives. Corporate Diwali gifts improve your relationship with the employees and also signifies that every employee is a valuable asset to your organization. 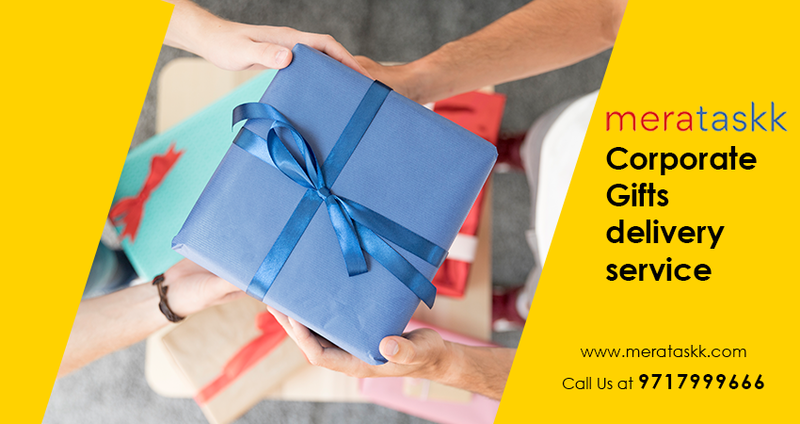 If you are looking for a reliable and quick corporate gifting delivery service in Delhi NCR, look no further than Merataskk. Visit our website www.merataskk.com for more information and one of our executives will get in touch with you. Also, if you are into a business of any of the corporate gifts across Delhi NCR , get your product listed on our website and see your business grow with Merataskk delivery services. We provide same day delivery services across Delhi NCR. We specialize in corporate gifting and make every client feel satisfied with our services.